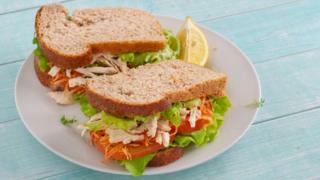 A German man has been given a life sentence after poisoning his colleagues’ lunches, leaving one man in a permanent vegetative state. The 57-year-old man, named only as Klaus O, was arrested last year after a security camera captured him placing a powder on a colleague’s sandwich. Tests identified it as acetate, an almost tasteless substance which can lead to serious organ damage. Further searches at his home uncovered mercury, lead, and cadmium. Two other colleagues suffered major damage to their kidneys. The defendant remained silent throughout the trial and prosecutors were unable to determine a motive. He will not be eligible to have his sentence reduced after the judge found he was a “danger to the general public”, the Süddeutsche Zeitung newspaper reported. Klaus O was caught after a colleague at a metal fittings company in the town of Schloss Holte-Stukenbrock, in north-western Germany, noticed a white powder on his lunch in 2018. Security footage showed Klaus O placing the substance on the food. Police said they were now investigating the deaths of 21 employees at the same workplace since 2000. A psychologist told the trial that Klaus O “came across like a researcher who was trying to see how different substances affected rabbits”, German news agency DPA reported. Next articleA Pakistani man told me he feared he’d be killed for exposing “honor killings.” His worst fear just came true.